I love surprises! 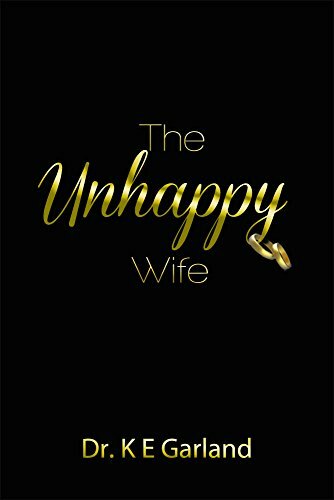 Finding out that normabob had not only read The Unhappy Wife, but also written an Amazon review and a written these kind words on her blog sent me over the moon! Thanks again my dear! I appreciate it. If you’re looking for a little inspiration, then check out her blog. I bought the book on the weekend and I couldn’t put it down until after I had read the last page. I was reluctant at first because I thought here was a book that only catered to married women, but I have to admit I was wrong. Whether you are married, engaged or single you will find bits and pieces of yourself intervowen in every tale. Congratulations Dr. Garland you have imbued wisdom into our lives by sharing the stories of these women with us through your book. See my review on Amazon. < Previous Do that Sh💩t! I’m not surprised by all the positive reviews! It’s a page turner, all right, and a conversation starter. Thanks Dr. D! I’m so appreciative for all of it, you know? Thanks for all of these kind words too. They mean quite a bit. And you know we’re twinsies over here on WP and IG lol Hope you’re having a great weekend! Will be reading shortly. Kudos. Thanks Liz! Let me know what you think. I’ll be posting commentary about the second wife next Friday.